This Infrared Remote Control Unit can be used in conjunction with C-Bus IR Receivers in C-Bus 2000 Series, Classic, Slimline, Eclipse and Neo style wall switches and C-Bus Multi Sensors. They have a range up to 15 metres. 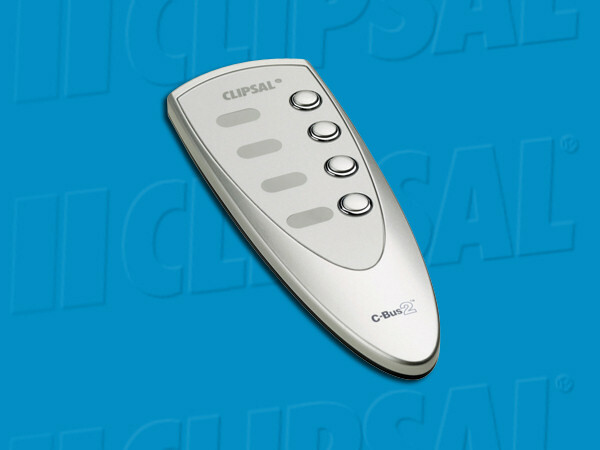 The 4 button 5084TX remote can be configured to issue IR commands to C-Bus IR Banks A or B. 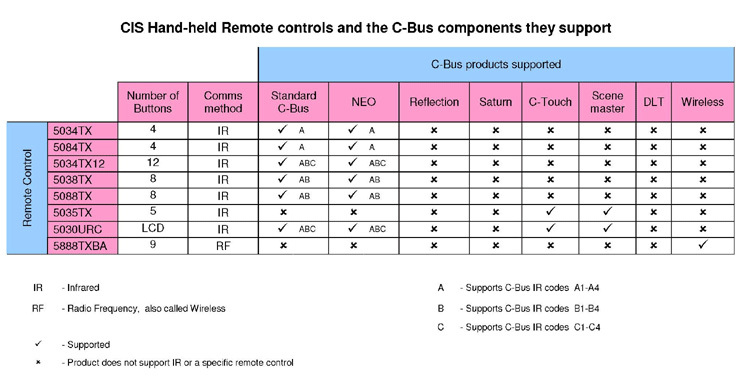 The 8 button 5088TX remote can be configured to issue IR commands to C-Bus IR Banks A/B or C/D.